Marthélize Tredoux: How well are hashtags being used in wine social media? The humble hashtag – affectionately remembered by some as the number or pound sign – has successfully infiltrated just about every online social space (fun fact: the symbol itself is actually called an octothorpe – isn’t that catchy?). 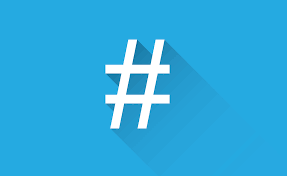 If you’re somehow completely unfamiliar with what a hashtag is or what it does, just know that the symbol has simply become a universal way to index topics on social media channels such as Twitter, Facebook and Instagram. So let’s say you’re snapping a pic of your sundowner G&T on Instagram, you can add a number of words preceded by a # to associate your post with specific topics e.g. #sundowner #view #sunset #ginandtonic #ginspiration #ginoclock etc. That way, you’re more likely to get views and activity on your post from people browsing the topics you tag it with. So it’s basically a way to classify and categorize and has a number of useful applications – as long as the tags remain sane (typically a hashtag is either a single word like #wine or a short phrase like #winetime but technically anything you put after the # sign without spaces will register as a hashtag – but we usually keep short because #aintnobodygottimeforridiculouslylonghashtags). Now – as with every other social media channel and application – marketing and advertising has jumped on the hashtag bandwagon. Which makes sense – if you’re trying to bring attention to a promotion or a specific product, using the hashtag mechanism is a no-brainer. A notable exception to this was a fun little exercise I was part of last week for the run-up to #DrinkChenin Day which happened on 17 June. Instead of one-dimensional media drops where you get a bottle of wine with a nice message and a polite request to #DrinkChenin on the day in question (implying that you drink the freebie and plaster social media with images of said freebie along with the hashtag), 12 people (including myself) were each sent a different, unlabeled, hand-numbered bottle. On the Wednesday before #DrinkChenin day, we all virtually gathered on Twitter and using the specific #GuessTheChenin tag, played a little game of wine-Cluedo with the Breedekloof Makers. Each bottle was sent out with the list of the 12 wines and a short tasting note. By tasting the wine, checking the tasting notes and asking the Breedekloof Makers Twitter account for clues, it was a race for each participant to identify which of the 12 Chenin Blancs they were sent. The first person to correctly identify their mystery bottle, won a case of Chenin (one bottle from each Breedekloof Maker winery). Truth be told, as much as I love Chenin, this exercise was the only thing that got me excited to pop a bottle on the 17th. It was well thought-out, smoothly executed and provided more than an hour of online interaction that, while limited mostly to the 12 individuals participating, was definitely quality over quantity. To tie this back to my previous criticism of how wine social media is often handled, I hope that the innumerable social media/PR/marketing/event firms that provide services of varying quality to the wine industry takes serious note about the potential scope of the most basic social media channels and tools. More importantly, they need to be very clear on what they want to achieve with any particular exercise. For some purposes, it is sufficient to shotgun media drops to a large number of people and be content with the handful which proceeds to give your product airtime. But with some planning and insight, it is possible to work the social media machine a little harder and come up with something really interesting – which means you can get way more than just a once-off copy-and-paste of your content. The hashtag is a simple function, and there is ultimately only so much you can do with a single mechanism. That still doesn’t mean it all has to be #boring.